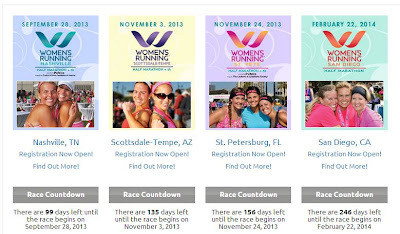 In 156 days, I will be running the Women's Running Series in St. Petersburg. It's crazy to even consider that I was afraid to run this half marathon in 2012 because I didn't think I could finish. I was nervous and had a crazy amount of self doubt. I trained primarily with Gabe but wished I had a training group to push my motivation. 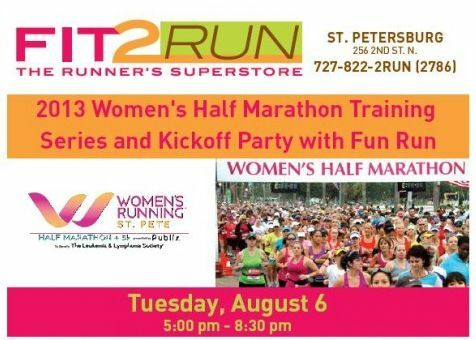 If you are anything like me, you are lucky because running superstore Fit2Run recently announced their training schedule for the 2013 Women's Running Series in St. Petersburg. This is a great opportunity to train for Novembers half marathon with runners of all levels. The kickoff party will take place at Fit2Run at 256 2nd St, St Pete on August 6 from 5pm - 8:30pm. The 15 week official training will start on Tuesday, August 13 through November 21st. Fit2Run will work with runners of all levels, beginners looking to finish their first half marathon and advanced runners looking to tackle their P.R. This is an amazing price to get a personal training plan and a running coach. It's hard to believe how quickly this race is approaching. As of today, Nashville is 99 days away, Scottsdale-Tempe is 135 days away and St Petersburg is 156 days away. I cannot wait to run this race with my best friend!! considering going back to St Pete again to run that half...it was SO much fun last year. Best run race Ive ever participated in EVER. YAY! You should come do it again this year and we can meet in real life!